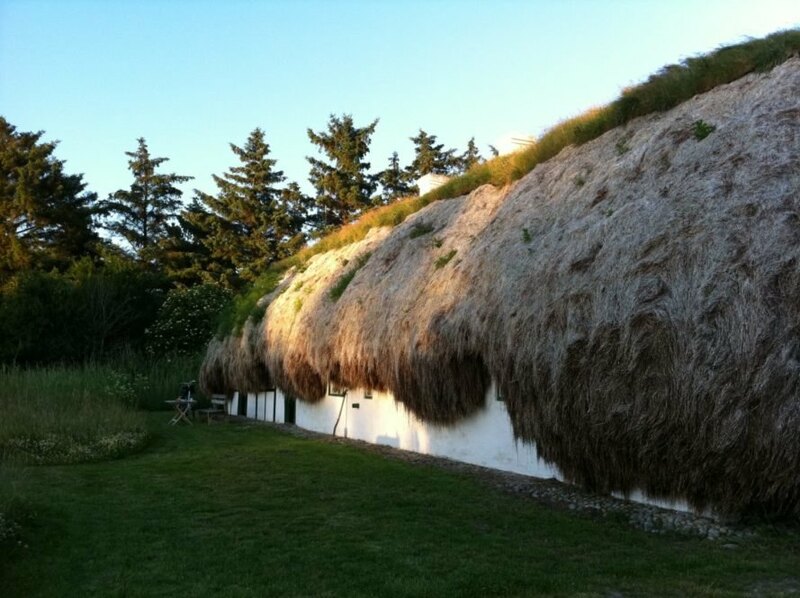 Back in the Middle Ages, the Danish island of Læsø found itself with sparse building materials, leading the industrious population to start building with whatever natural materials they could find. Among these materials? 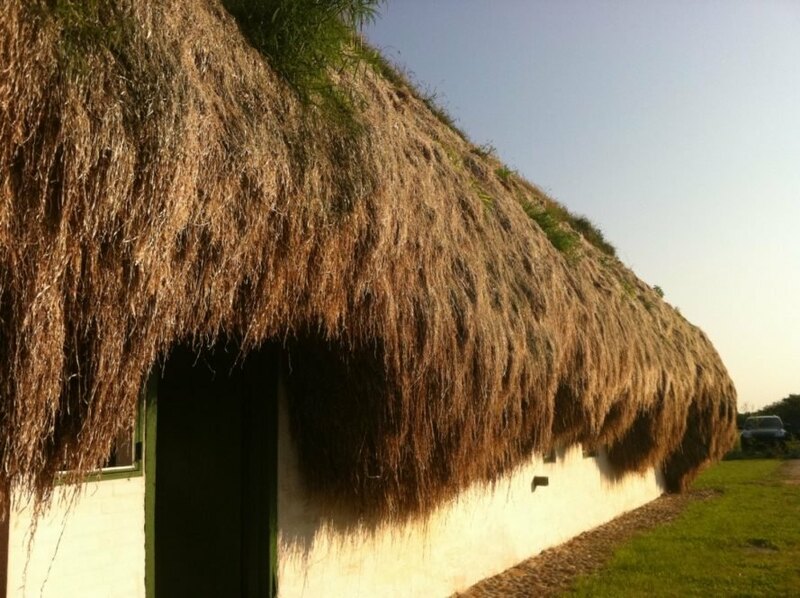 Eelgrass, which they used to create extremely durable roofs that have lasted centuries. Today, the island is home to 19 original seaweed homes and one of them has just been put up for sale – a six-room cottage recently renovated with a whopping 35 tons of locally harvested eelgrass. 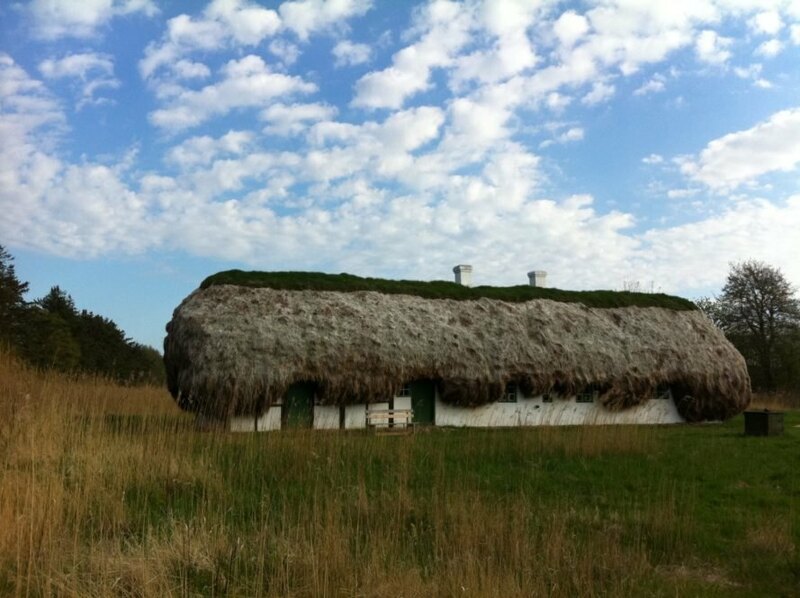 By the late 18th century, the island had 250 remaining homes with eelgrass roofs, which are credited for the long-lasting nature of the buildings. The roofs were typically layered on in thick piles, often reaching three feet of thickness. 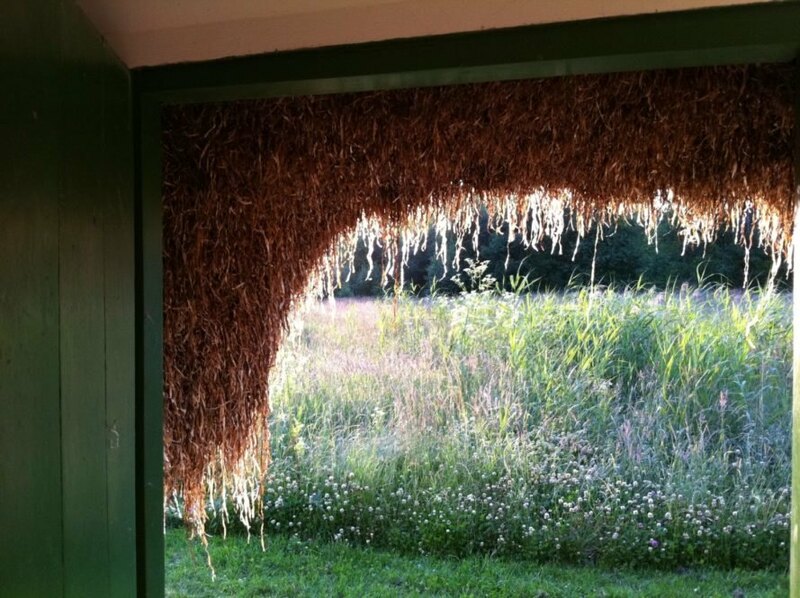 The technique created an impressively durable insulative envelope for the homes that has helped the buildings withstand the test of time. For those doubting the logic of building with sea greenery, the natural resource is incredibly sustainable, as well as non-toxic and fireproof. It can be harvested by hand and cured by the sun and wind. 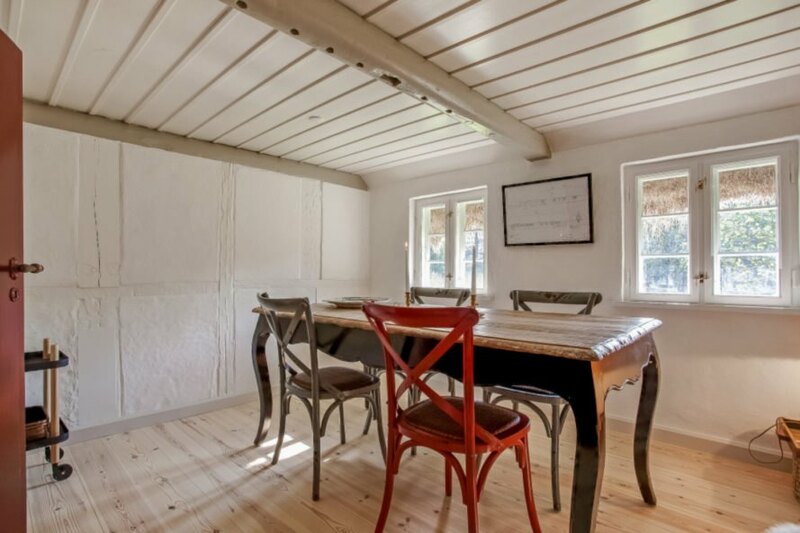 And, as the Danish cottages have proven, its insulative properties are as durable as any contemporary insulation. The cottage, which is currently listed for $414,000, is a six-room home with an area of 1,076 square feet. Dating back to the 18th century, the home has been painstakingly restored to enhance its historic character. 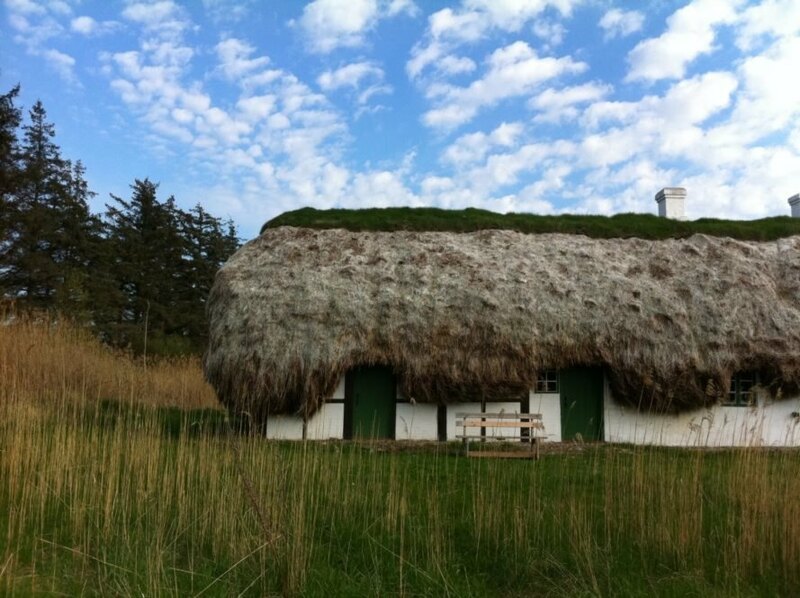 The original seaweed roof was replaced with 35 tons of seaweed locally harvested at the island’s “seaweed bank,” an initiative begun by the island for the sole purpose of restoring the remaining historic homes. 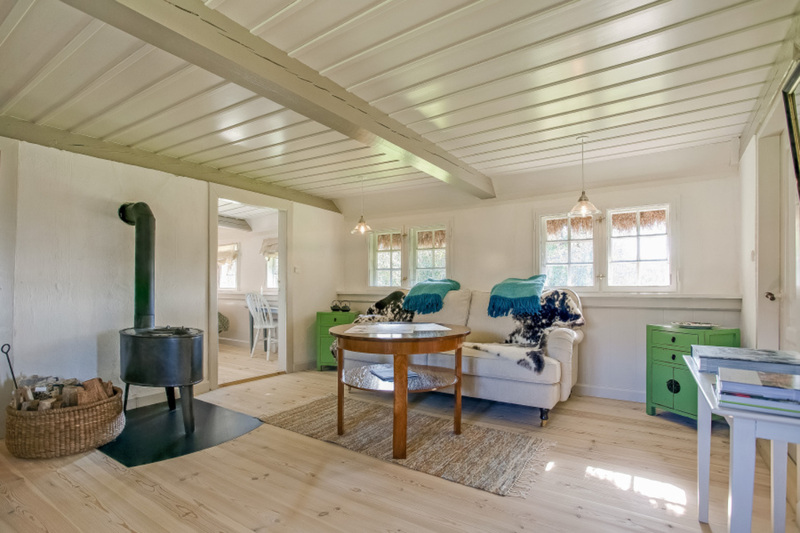 The extended farmhouse has six rooms tucked into the cottage’s traditional framework. The kitchen and living spaces receive an abundance of natural light. Rustic touches such as colorful farmhouse doors and exposed ceiling beams add an old-world charm to the interior. 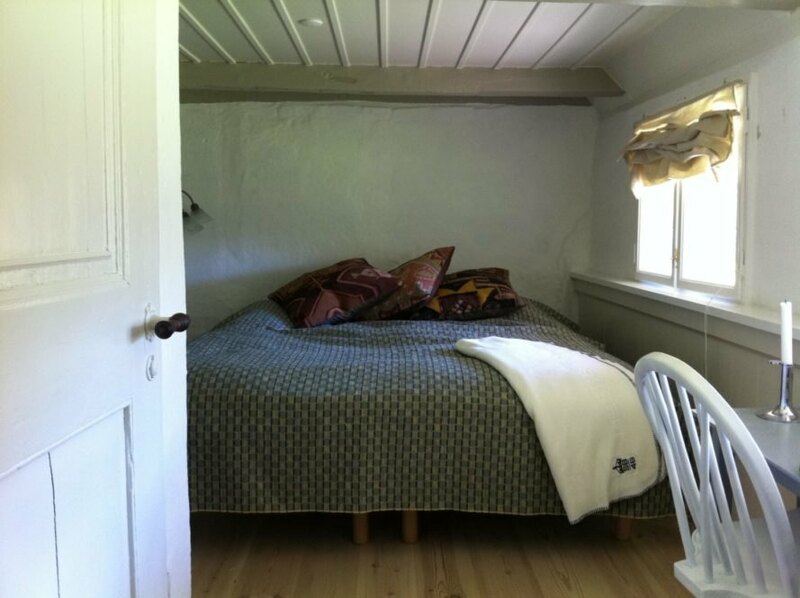 The cottage is located on large lot of land filled with ancient apple trees, and is just minutes away from a beautiful beach. 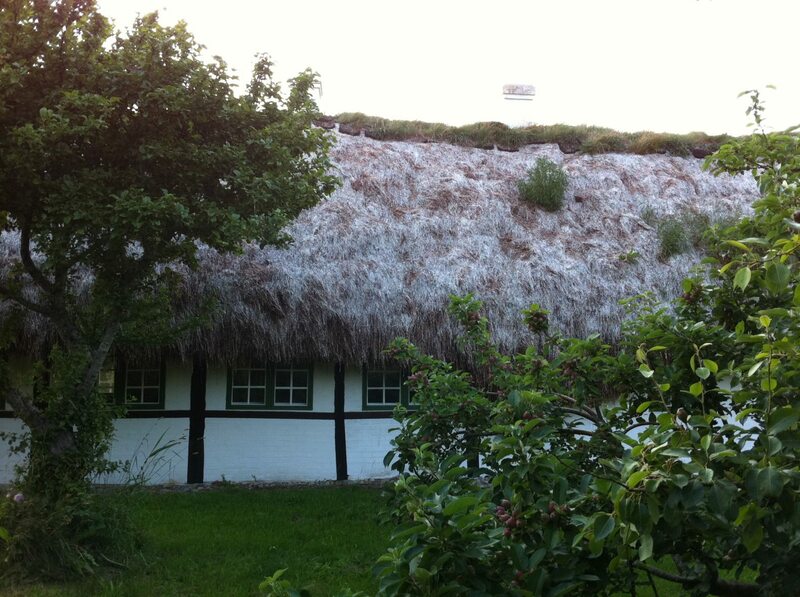 The Danish island of Læsø is famous for its historic cottages with seaweed roofs. The eelgrass was locally harvested when the island ran out of building materials. This cottage is currently for sale for $414,000. 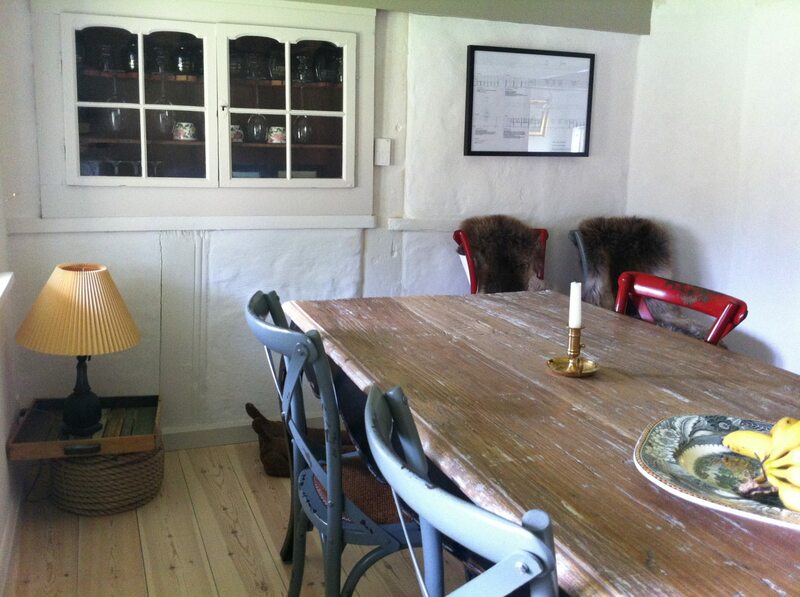 The interior of the cottage has been restored, maintaining its original character. The home is bright, airy and recently renovated. 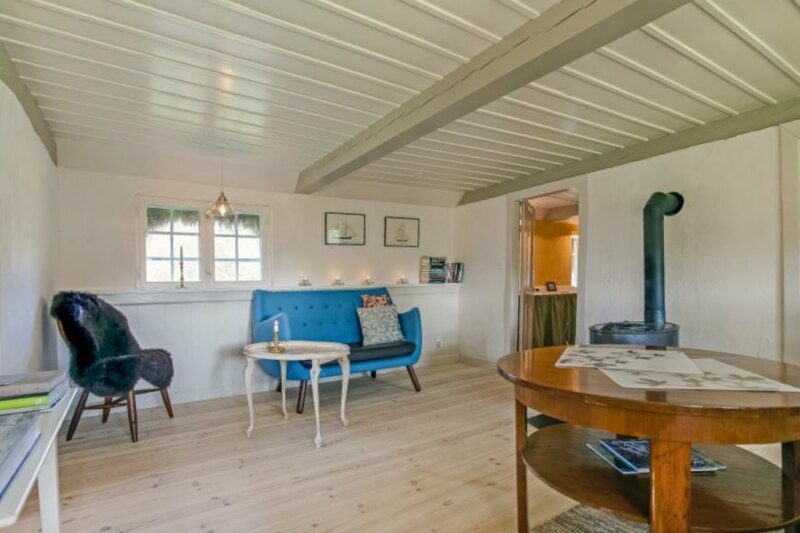 The cottage has six rooms and is located on a large orchard. The home was recently renovated to restore its original farmhouse character. The roof was renovated with 35 tons of locally harvested seaweed. 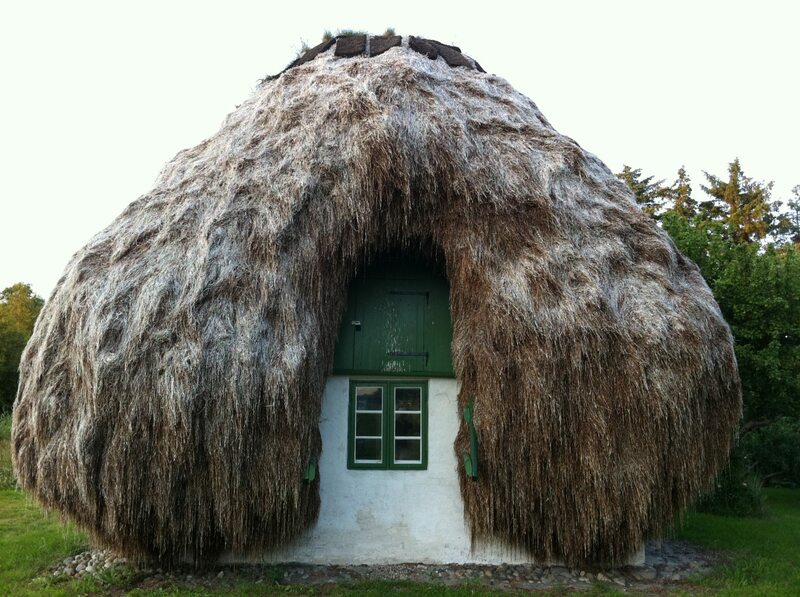 Many of the homes have lasted centuries thanks to the durability of their roofs. Seaweed is incredibly sustainable and easily harvested by hand. The seaweed homes are beloved by the local population. 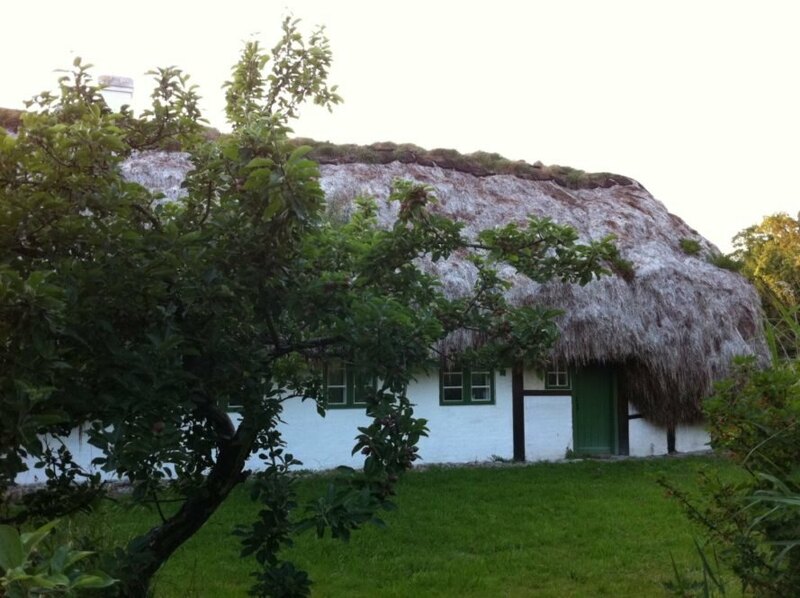 The cottage is surrounded by ancient apple trees. Seaweed is incredibly durable and provides excellent insulation. The home's rooms have all been restored. 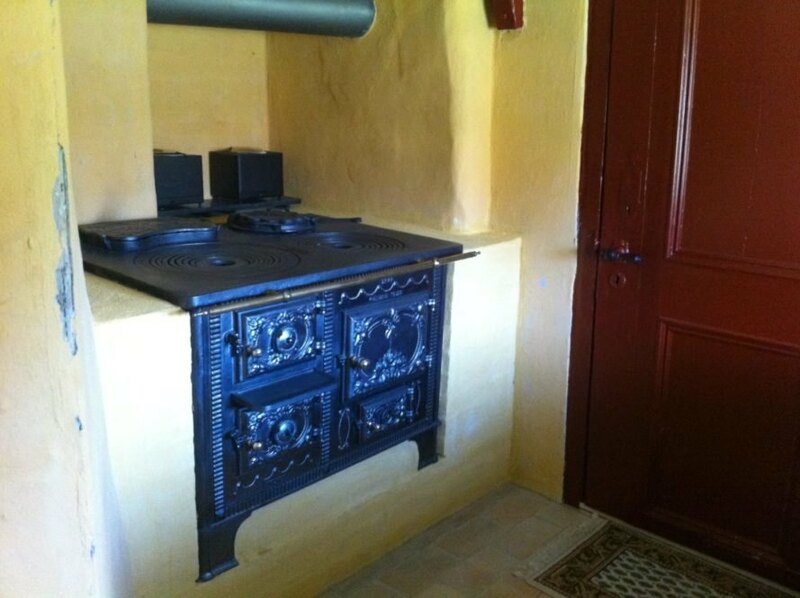 Original features like the iron stove were left in place during the renovation. The cottage is located just a few minutes from a local beach. The roof is up to three feet thick in some parts. Today there are only 10 seaweed homes in existence on the island.